In Its Hour of Glory, Why Is the BJP in Turmoil in the Northeast? The consternation after the publication of the NRC has given way to a full-blown crisis for the saffron party after the passing of the Citizenship Bill. The BJP should ideally be rejoicing in the Northeast. Long before it has succeeded in making Bharat ‘Congress-mukt’, that reality has been achieved in the region with the recent defeat of the party in the Mizoram assembly elections. Currently, all northeastern states have chief ministers and ruling parties which are a part of the BJP-led North-East Democratic Alliance (NEDA) formed in 2016. However, in what should be the saffron party’s hour of glory in the region, it is in a state of a mess there. There are two reasons for this. The BJP has its own national agenda and will pursue it even if it clashes with political imperatives in the Northeast. Plus, being clearly focused on its core beliefs, it is yet to grasp the unique complexities of the region. The BJP’s setback has resulted first from the turmoil that Assam has been thrown into ever since the final draft of the National Register of Citizens (NRC) for Assam was published last July. This turmoil has worsened and spread to virtually every nook and corner of the Northeast since the Lok Sabha passed the Citizenship (Amendment) Bill last month. 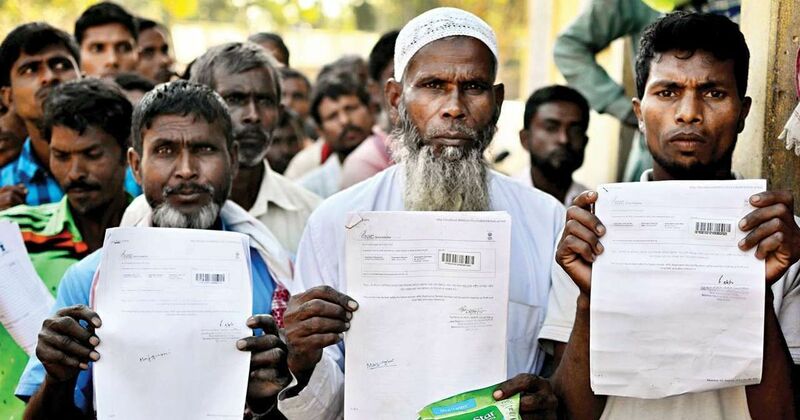 The initial public reaction to the draft NRC, which rejected the citizenship claims of four million – 12% of the residents of Assam – was muted. The aggrieved, presumed to be mostly Bengali-speaking Muslims, are a social minority and could communicate their enormous anxiety mostly in ways other than through public protest. This is in sharp contrast to the disruption through bandhs and violence that has accompanied the Citizenship Bill as here the aggrieved are the majority. 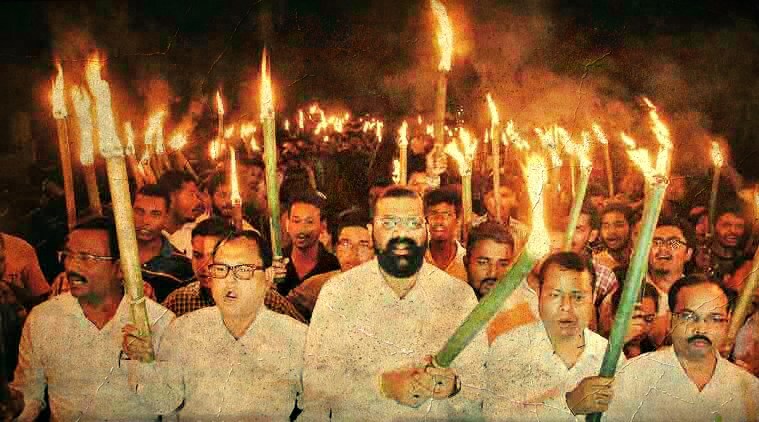 Most of the public protest has till now taken place in Assam, where one of the founders of the Assam Movement, the Asom Gana Parishad, has taken the extreme step of walking out of the state’s ruling coalition in protest. Also read: Is Assam Mirroring the ‘Idea of India’ on the Citizenship Amendment Bill? Sections in six other northeastern states (Arunachal, Manipur, Meghalaya, Mizoram, Nagaland and Tripura) have voiced their opposition to the Bill. The governments of Meghalaya, Mizoram and Nagaland have also publicly expressed their reservations. Thus, all the traditional northeastern states which make up the ‘Seven Sisters’ have been affected. Such is the distinctiveness of the dominant ethnicities in the different states of the region that boundary disputes between them (for example, between Nagaland and Manipur, and Assam and Meghalaya) persist. Despite this, the two measures have managed to unite in protest virtually everyone in the region – though different groups are upset over different aspects. In Assam, the NRC, a victory for the Assam Movement, came about as a result of the long protest of the Assamese, principally caste Hindus, against the undocumented migration of Bengali speaking Muslims from erstwhile East Pakistan – which became Bangladesh in 1971. The Assamese felt threatened by a burgeoning minority that would change first the ethnic character of their society and thereafter the electoral composition of the province. What the Citizenship Bill has done is turn things on their head. The Assamese Hindus have been hit. This is because they are fighting not one ‘intruder’ but two. The Bill allows the country to admit persecuted minorities from neighbouring countries (Pakistan, Afghanistan and Bangladesh) who can be any of several religions (Hindu, Buddhists, Sikhs, Jains, Parsis and Christians), but significantly not Muslims (even though certain Muslim sects in these countries like the Ahmadis have also been persecuted). The big issue is that Bengali-speaking Hindus who felt persecuted in East Pakistan – thereafter Bangladesh – and came to Assam, can now become Indian citizens under the new legislation. (To become eligible under it, a person will have to have been in India for just six years.) But this negates the whole Assam Movement which sprang up as much against the Bengali-speaking Hindu as against the Bengali-speaking Muslim. Sylhet district, majority Muslim and almost wholly Bengali speaking, was transferred by the British in the 19th century from Bengal to Assam and then from Assam – when India became independent – to East Pakistan after a referendum. Assam was content with this as it made the state more linguistically homogeneous. Even before Partition and independence, the Assamese were upset over Bengali settlers moving into Assam’s wastelands. But Assam’s satisfaction over getting rid of Sylhet was short lived as soon after Partition, a large number of Bengali-Hindus began migrating to Assam. They were now foreigners and when the Assam Movement began in the seventies, its focus was not against bahiragata (outsiders) but against bidesh nagarik (foreign nationals). Other than numbers, it is also jobs that were a source of conflict between the Bengali and Assamese-speaking Hindus. When the educated Assamese middle-class began to emerge, it found all the white collar administrative jobs under British rule had been taken by the educated Bengalis who had a head start as Western education came first to the presidency headquarters of Calcutta, Bombay and Madras. Thus, the Assam Movement is as much against the Bengali-speaking Hindus as Bengali-speaking Muslims. The turmoil in Assam today results from this key reality. The NRC seeks to identify and exclude the non-Assamese who came in after Bangladesh was born whereas the Citizenship Bill opens the doors for Hindus who came in till six years ago. As if this was not grounds enough for conflict, shortly after the draft NRC was published, the national and Assam units of the BJP began looking at it differently. The national unit of the BJP was gung-ho about the NRC but the initial euphoria of the state unit diminished when it found to its consternation that many sections which supported it were among the aggrieved. The names of large numbers of Indians who spoke Nepali, Hindi, Marwari and Bengali and most importantly indigenous Assamese who were BJP supporters, had been left out. Traditionally at the receiving end of the Assam Movement, a part of this section began supporting the BJP as it has emerged as a force in Assam in recent years. The BJP’s ascendance in Tripura where it has formed the government is explained by large numbers of Bengali-Hindus of the state switching their allegiance from the Left Front to the BJP. The consternation after the publication of the NRC has given way to a crisis for the BJP after the passing of the Citizenship Bill. As a damage limitation exercise, the Central government has set up a committee to implement Clause 6 of the Assam Accord which seeks to protect the identity and heritage of the Assamese people. But it is as good as dead with several members resigning over the Bill. In another damage control move, the Centre has decided to give Scheduled Tribe status to the Motak, Koch-Rajbongshi, tea tribes (Adivasis from Chota Nagpur and Chhattisgarh), Chutia, Tai-Ahom and Moran. But this has promptly been opposed by existing ST groups among whom are Bodos (too many groups having to share the same cake). The Bodo People’s Front with 12 MLAs is a key member of the BJP-led alliance that currently rules Assam. In yet another damage limitation exercise after the publishing of the draft NRC, the government has clarified that Gurkhas (a prominent Nepali-speaking group from the hill region of Nepal; the term sometimes loosely applies to all Nepali speaking people in India) who have become Indian citizens by various means including naturalisation are not foreigners and cannot be referred to the Foreigners Tribunal. Any Nepalese national staying in India cannot be treated as an illegal migrant. Tension has been brewing among the Gurkhas in Assam when many of them found their names missing from the NRC. From the hugely complex situation in Assam, let us turn to the rest of the Northeast. Meghalaya and Nagaland are protesting against the Citizenship Bill as they fear a renewed influx of Bengalis and eventual dilution of protection of natives. Mizoram fears an influx of Buddhist Chakmas from the adjoining Chittagong Hill Tracts in Bangladesh. Arunachal fears an influx of Buddhist Tibetans and Chakmas. Manipur is against all outsiders. In Tripura, the Indigenous People’s Front of Tripura – an alliance partner of the BJP representing the indigenous peoples who see their land having been taken over by Bengal Hindus (many of who have migrated from East Bengal and East Pakistan) – opposes the Bill. They fear that the new Citizenship Act will open the gates again for more Bengali-Hindu migrants. It has been left to the Assam minister Himanta Biswa Sarma, the convener of the NEDA, to utter the traditional BJP line. 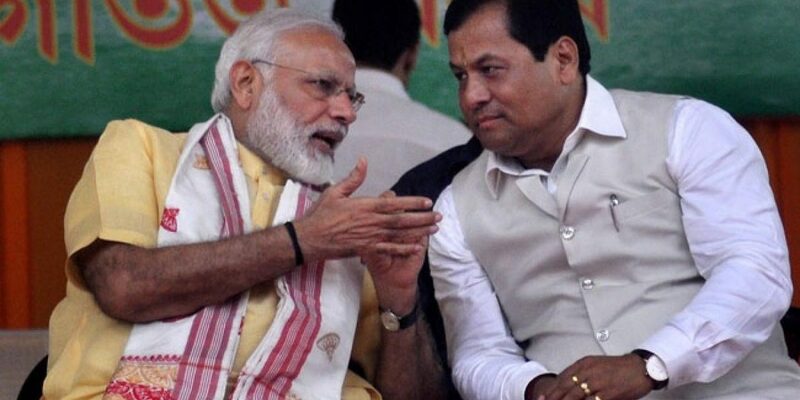 He has expressed his gratitude to Prime Minister Modi for saving Assam, claiming that as many as 18 assembly seats have now been prevented from falling into the hands of the “Jinnahs”. Thus, the Citizenship Bill is part of the BJP’s national agenda articulated in its manifesto for the 2014 elections, which states, “India shall remain a natural home for persecuted Hindus and they shall be welcome to seek refuge here.” The Assamese-Hindus who have manned the Assam Movement accept this so long as the Hindus are not Bengali speaking. The BJP with its Hindutva agenda is made up mostly of people who have a clear and straightforward view of life and their goals. The Northeast, on the other hand, is a cradle of enormous complexity. This is what makes it so fascinating. Many outsiders familiar with the region feel that it is only a tolerant and inclusive India that can take such a region along with it, while letting the myriad groups retain their identity and way of life. Single-minded BJP supporters will loath to circumscribe their national goals when it comes to the Northeast. 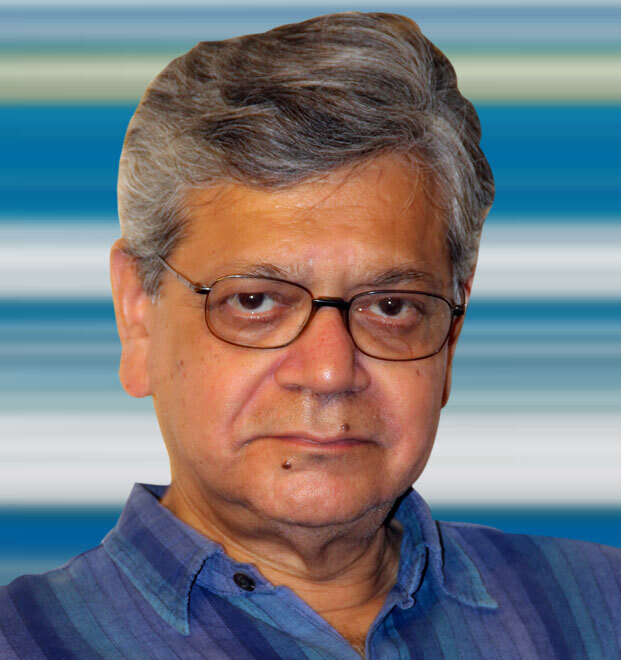 Subir Roy is a senior journalist and the author of Made in India: A study of emerging competitiveness (Tata Mcgraw Hill, 2005) and Ujjivan: Transforming With Technology (OUP, 2018).